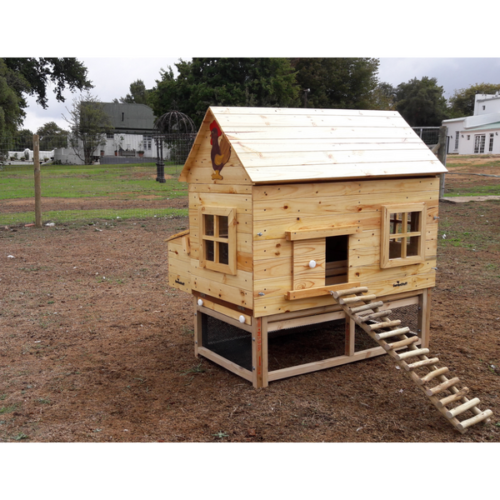 A beautiful free standing home for your chicken. 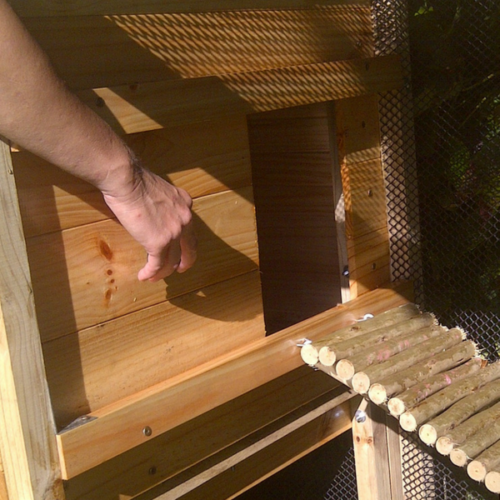 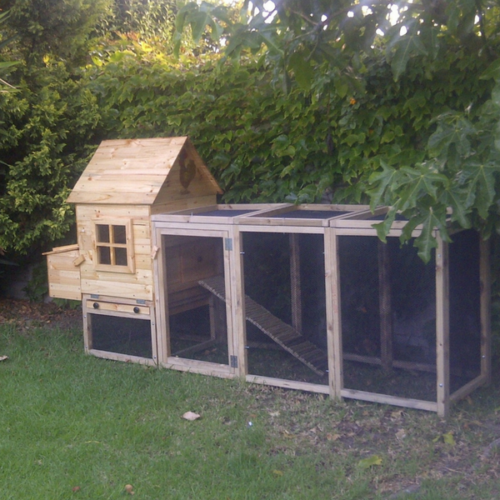 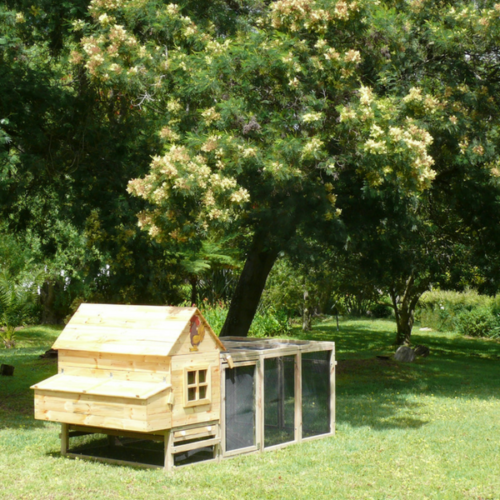 The ‘Villa’ has been designed for up to five chickens. 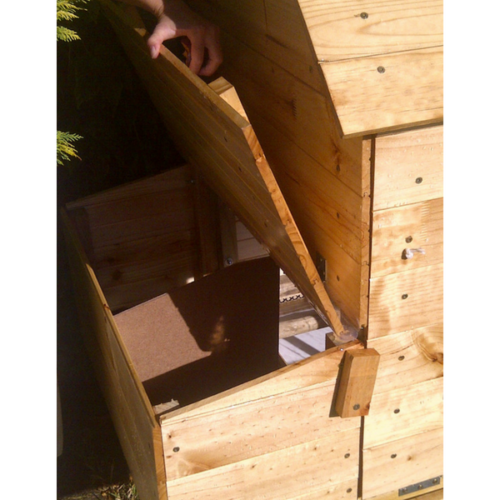 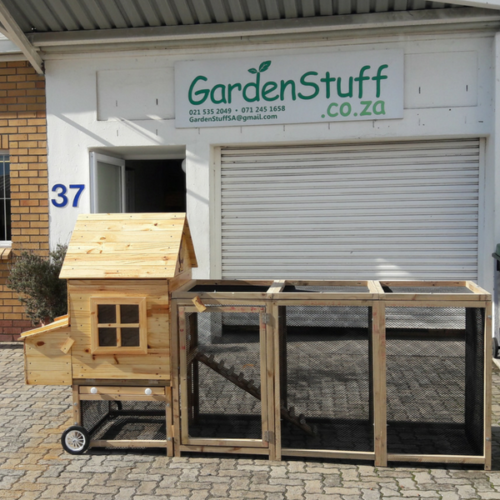 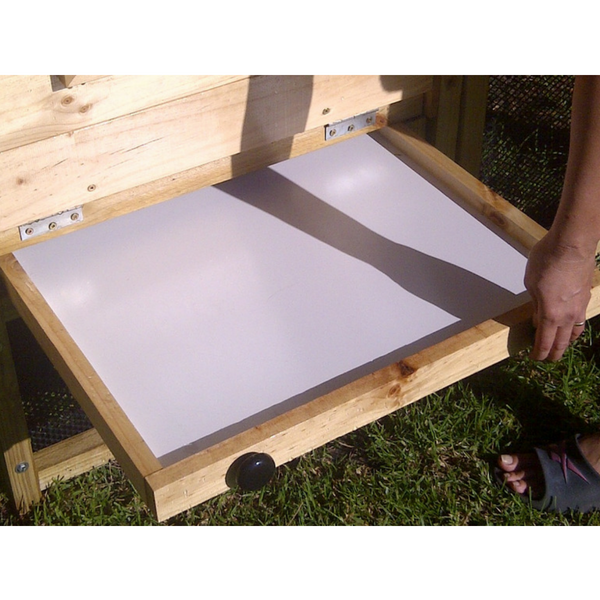 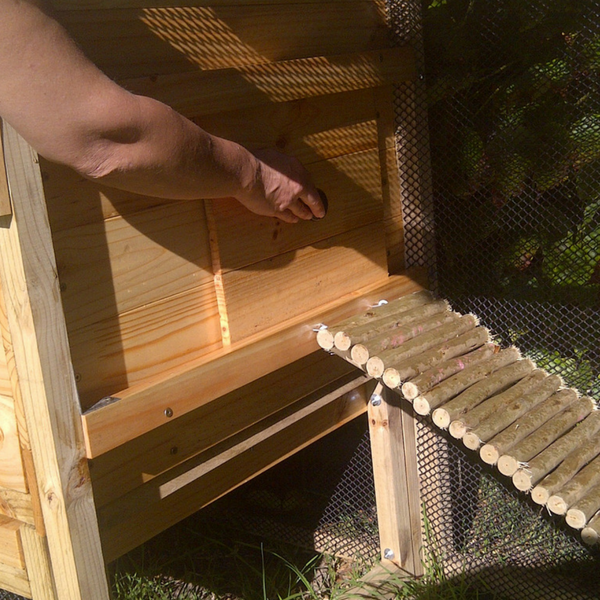 Our Chicken Coops are unique and will add value to any garden. 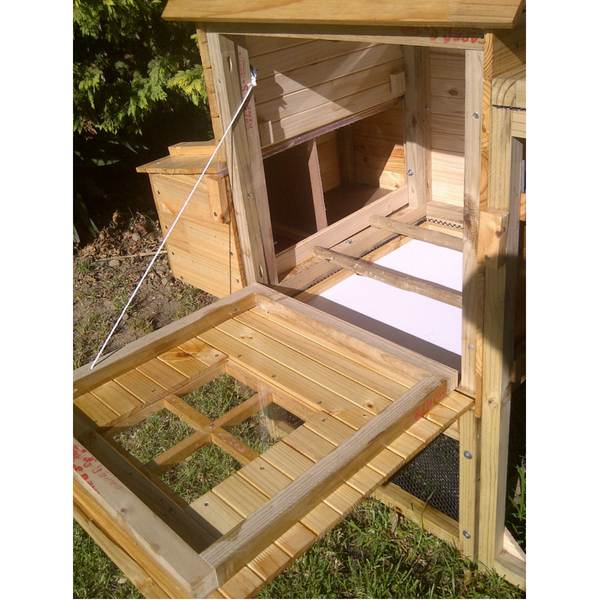 They are made out of top grade SA pinewood and treated against the elements. 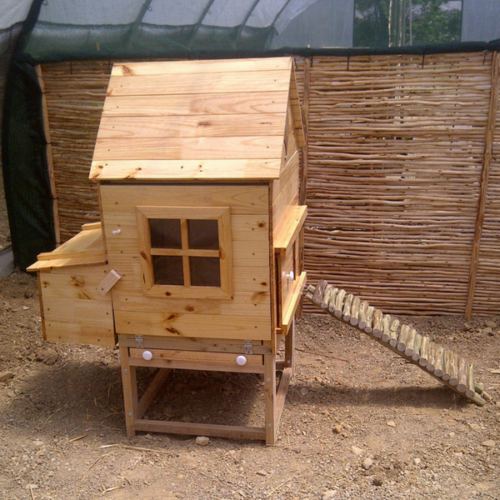 ● 105 cm long, 75 cm wide and 150 cm high. 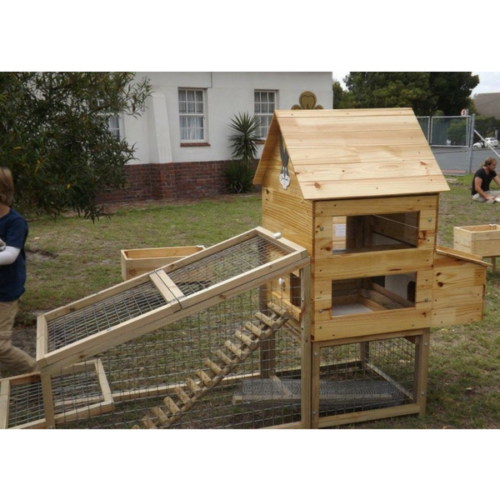 ● Made of top grade SA pine wood from sustainable forests.